Man does it feel good to just draw! 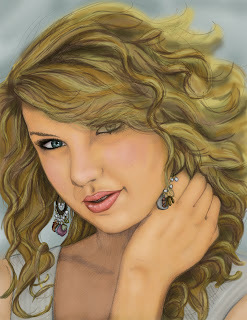 Here's an illustration I've been working on of country music star Taylor Swift. I drew it with pencil, then colored it using Photoshop. I tried a new technique of using multiple layers at different opacities to achieve a rich skin tone--and I'm fairly pleased with the results. Be sure to let me know what you think! Thanks!